Ons Huis (Our House), a community centre designed by Verheul in 1907, was founded to further the education of workers and society's less privileged. In 1949 it was converted into a centre for the arts. The main focus of attention was the cinema, but there was also a theatre, an exhibition space, a library and a graphic workshop. The project was one of the first built works of Jaap Bakema, who was on the council payroll for a time. Later alterations have left almost nothing of Bakema's architecture, inspired as it was by De Stijl. Lantaren/Venster has moved to new-build premises in housing block New Orleans on Wilhelminapier. 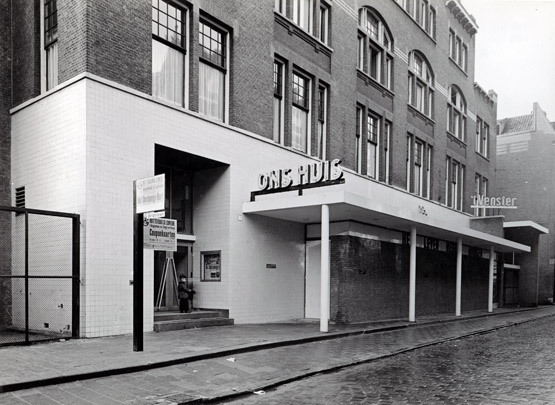 The De Gouvernestraat Theatre accommodates dance and theatre.